For soil struggling to retain moisture, Gardens Alive! 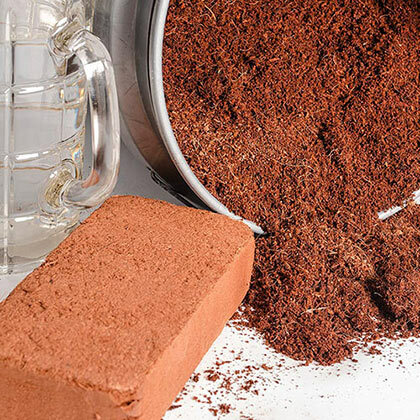 Coir Brick is a substitute for peat that will help your plants get proper air and water flow. Our Coir Brick is made of compacted coir--the fibers from coconut husks, a natural by-product of the coconut industry (unlike peat, which requires disrupting ecosystems to collect!). When soaked in water, these bricks will expand to 5 times their size. Coir helps plants better retain nutrients and gets essential aeration to the roots--plus it's pH neutral and completely natural. 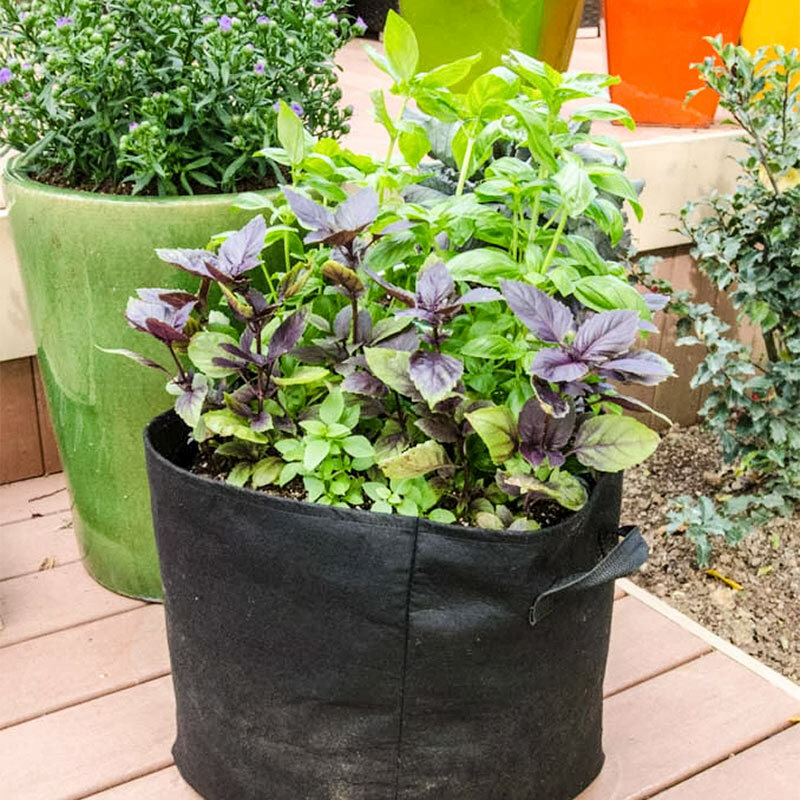 Use it alone, or mixed into garden soil! It's also great for compost piles, where the carbon-rich coir will balance the high nitrogen content of most compost piles. Earthworm composters will love it, too, since it makes a great media for those worms. It's great for our Grow Tubs®, too, since they're light and easy to transport. 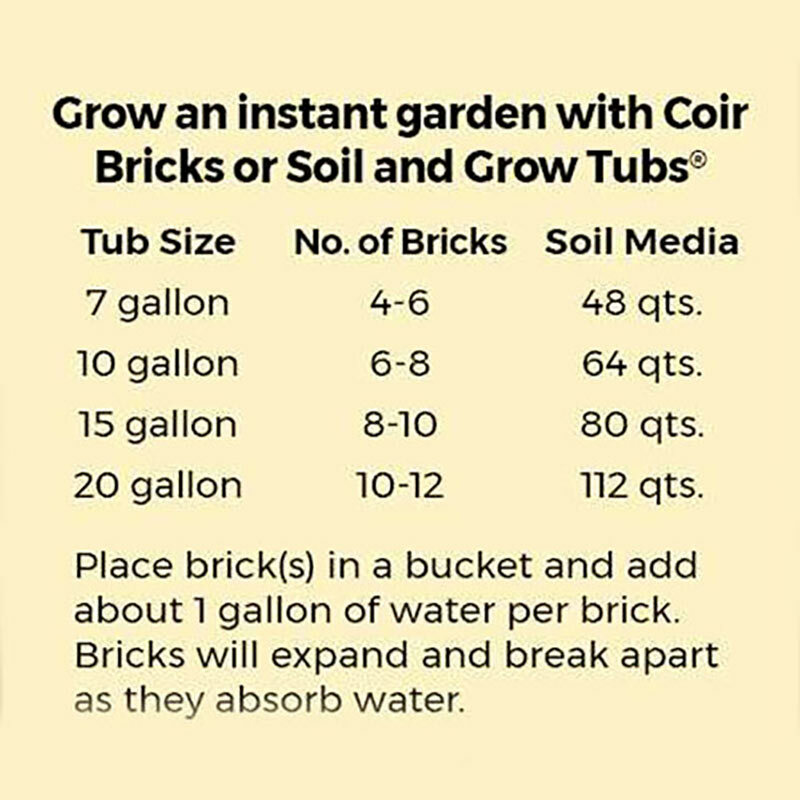 See our chart for how many bricks you need to fill each Grow Tub. 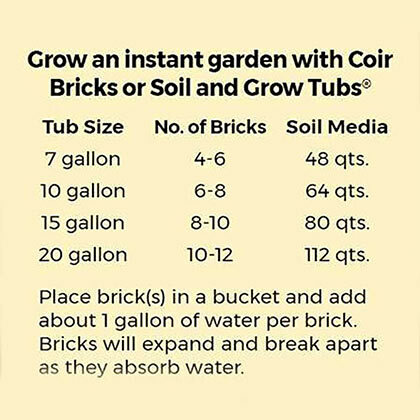 Each brick takes about 1 gallon of water to expand to its full size.